The New York Non-Importation Agreement was signed by 200 New York City merchants during the Stamp Act crisis of 1765, on October 31, the eve of the day the act was to begin. The Stamp Act taxed many items printed on paper such as newspapers, contracts, wills, diplomas, certificates, etc. Colonists were furious with the tax because they had no elected representatives in Parliament. This violated a longstanding British right that people should only be taxed by their elected representatives. The colonists protested in various ways, one of which was non-importation agreements. A non-importation agreement meant that merchants refused to import goods from Britain. This particular non-importation agreement was signed by 200 merchants from New York City. It was a model followed by merchants across the colonies. Eventually this created an enormous amount of pressure on British manufacturers who saw their sales slump. Many had to lay off large numbers of employees and some faced bankruptcy. These British merchants began to pressure Parliament to repeal the Stamp Act as well, even writing their own address to Parliament, a Letter from London merchants urging the Repeal of the Stamp Act. 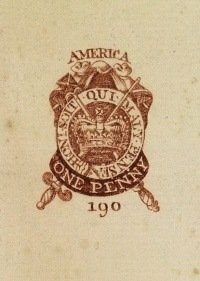 Parliament finally did repeal the Stamp Act on March 18, 1766. Learn more about the history of the Stamp Act or read the actual Stamp Act of 1765 text here. You can read the New York Non-Importation Agreement below. At a general meeting of the merchants of the city of New York, trading to Great Britain, at the house of Mr. George Burns, of the said city, innholder, to consider what was necessary to be done in the present situation of affairs with respect to the Stamp Act, and the melancholy state of the North American commerce, so greatly restricted by the impositions and duties established by the late acts of trade, they came to the following resolutions, viz. This was subscribed by upwards of two hundred principal merchants.